If you’ve read the page Denial of Rights, you’ll have seen the pattern of ignoring, dismissing or treating with contempt, requests for validating which Government, which Parliament, or whether the Office of Governor-General isn’t a parallel office. The pattern is obvious. Today’s government are unwilling or unable to validate their lawful authority. What other conclusion could you reach? Are we expected to trust that government is government just because they say so? As referenced in the documentary What The FUQ? – Frequently Unanswered Questions of the “Australian Government” – “Look at my shiny badge!” A distraction hoping for you to presume they are legitimate… and most of the population follow along nicely. artificial person. (17c) An entity, such as a corpora­tion, created by law and given certain legal rights and duties of a human being; a being, real or imaginary, who for the purpose of legal reasoning is treated more or less as a human being …. – Also termed fictitious person; juristic person; juridical person; legal person; moral person. Cf. LEGAL ENTITY . Created by law and given certain legal rights and duties of a human being? – Sounds awesome !! Why would you want to be more or less human if you were 100% human? Is it not sufficient to define a corporation as a corporation – and spell out its rights? Why is there necessity for an artificial person? Could the “government” that is unwilling or unable to validate its own standing and authority have created a artificial person for you? First let’s look at how government was originally intended. 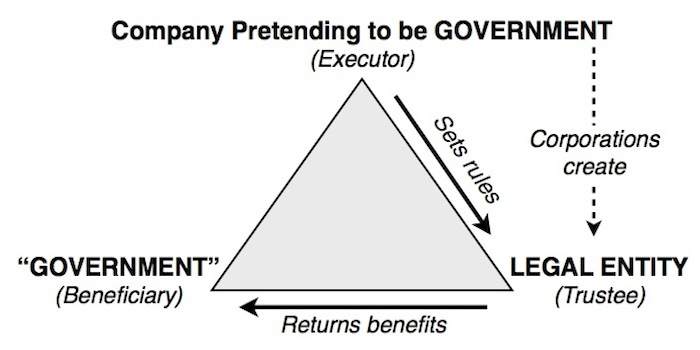 The trust arrangement below appears to exist universally. The mother and father of a living being appoints a trustee, e.g. a babysitter. The babysitter is instructed what to do (rules) and returns benefits to the beneficiary… the offspring (another living being). 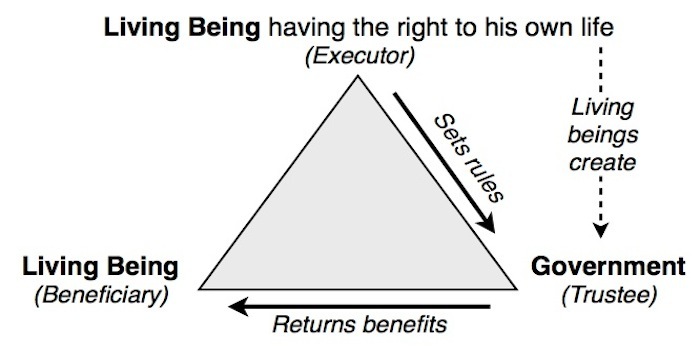 Once of age, the living being takes over as executor and continues to appoint trustees to return benefits to itself as beneficiary. Government was originally created to build and manage road networks, construction of hospitals, management of a health service etc. They were trusted to return benefits to the people as a Trustee. Contrast that role to today. Corporations pretending to be government appear to have created a LEGAL ENTITY. 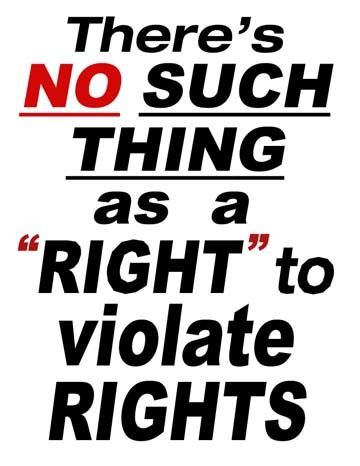 They set the rules (statutes etc) for it… yes it is an ‘it’… and living beings are coerced, conned, enticed and sometimes forced to act as that LEGAL ENTITY. When we write to banks or “Governments”… have we presumed we are acting as a living being, ignorant of the existence of an artificial person? If so – determination of identity is critical. What if now the matter was openly raised with “government” or banksters? What if the question of identity was asked even before envelopes were opened? 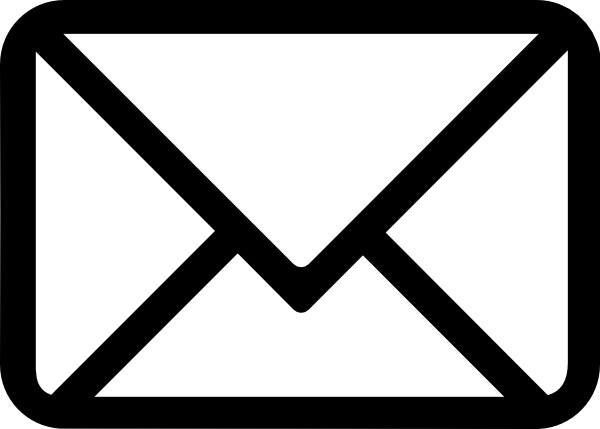 On that matter, if artificial persons exist, does opening an envelope addressed to an artificial person / LEGAL ENTITY create your consent to act as that artificial person? Ironically, the element of disclosure of terms for informed consent is absent. There is no information booklet advising what contract you are entering and what your obligations and rights (or lack of rights) are under that contract. Efforts to find out are stonewalled. Some quote “Let he who would be deceived be deceived” as justification of a good or sound system. To me, this sounds like justification to deceive someone as long as they don’t find out. I suspect this line is misquoted. Further research presents the maxim of law: “Qui vult decipi, decipiatur – Let him who wishes to be deceived, be deceived.” Notice the choice element – “him who wishes to be deceived” – is very different than “he who would be deceived“. One is by choice, the other is by ignorance. Could that ignorance also be caused by deliberate deception? Shopkeepers post signs stating they reserve the right to inspect bags at checkout. Nightclub owners post signs reserving their right to refuse entry to patrons dressed inappropriately. What about the right to determine the identity of whom “government” or banksters are addressing – particularly given the existence of artificial persons? What if the right to determine that identity was denied? 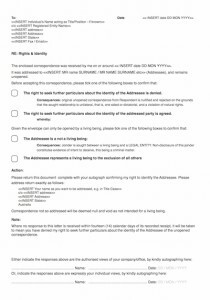 If you were denied the right to determine the identity of a party to a contract, is that not suspicious? Is the true identification of that party detrimental to banks such that it chooses to deny the right to question it? If a bank or “government” was unwilling to provide confirmation the Addressee was in fact a living being to the exclusion of all others, have they confirmed by default the Addressee was an artificial person / LEGAL ENTITY? Would that be a misrepresentation in contractual terms? Is that an element that would vitiate any contractual agreement? If you can’t question what’s on the outside of the envelope, what are your chances of questioning what’s on the inside?